I decided to skip the shellac and use a Red Mahogany polyurethane stain instead. It gives the crossbow a very different colour. I also stained the crossbow bolts too - I have swapped out the shorter thicker crossbow bolts I made earlier for longer thinner crossbow bolts made from a 5/16th poplar dowel. 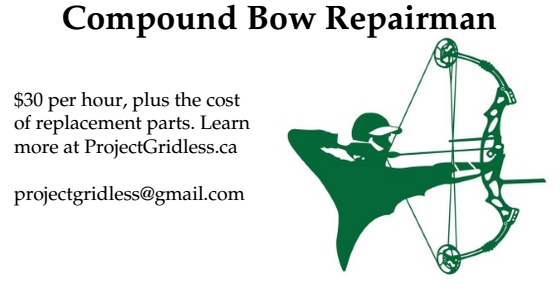 A couple days ago I purchased arrowheads from Basically Bows Archery (940 Queen Street East, Toronto) and the biggest arrowheads they had were too small to fit my earlier crossbow bolts because the bolts were too thick. To make them fit in the future I will need to shave down the arrowtips on the shaft so the arrowhead can fit on there, but since I am impatient I decided to get a smaller dowel and just make new bolts that fit the arrowheads. I also decided to make the bolts longer this time around, which should hopefully lead to even more accuracy. 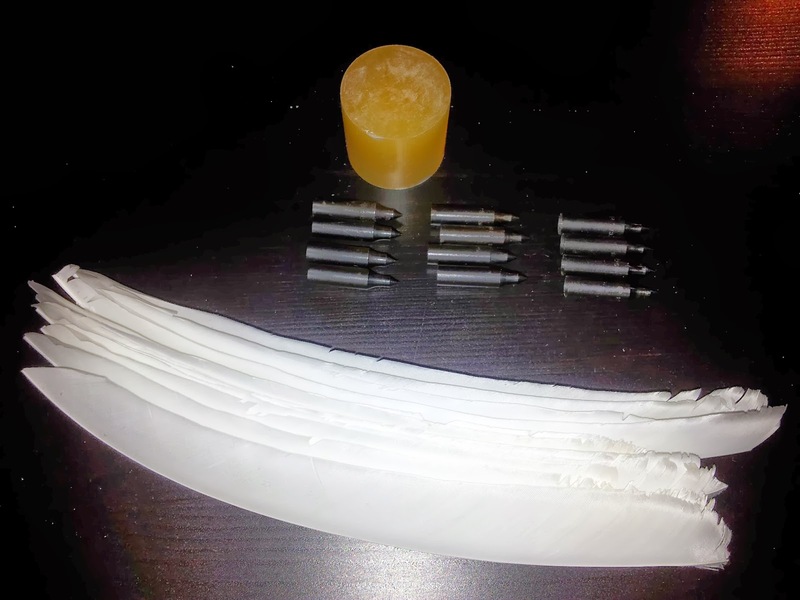 While I was at Basically Bows Archery I also purchased feathers which I will cut and trim to make the fletching and old fashioned arrow glue, which you melt using a flame before applying to either the arrowheads or feathers. I am only planning to use it for the arrowheads. I will be using superglue for the fletching. Total cost was $26.95.